The ModRight super large anti-static modmat and assembly surface is the next in line of the ever popular Mod-Mat Series. With enough room to complete your entire assembly on! The oversized modmat is a huge 1200mm x 600mm which is over 47" x 23". This allows plenty of room to complete your entire build on without worry of static or scratching pricey hardware and parts. The anti-static surface is safe for all components including your motherboard, VGA cards, RAM and any other electronic parts. Placing high finish side panels and parts are not an issue either as the non scratch surface will not blemish the finish whatsoever. This assembly surface includes both a grounding wire clip and an anti-static wrist strap to ensure proper precaution when conducting your next build. 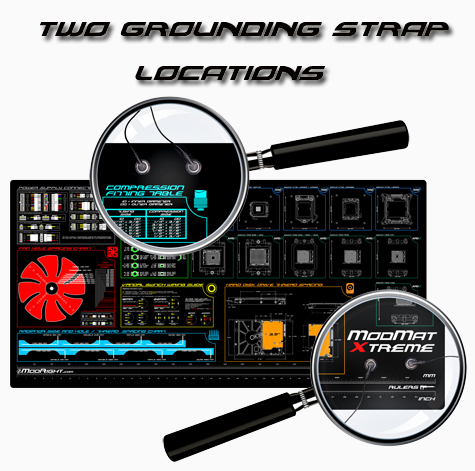 Both straps are connected directly to the modmat itself so you know you have a solid ground. 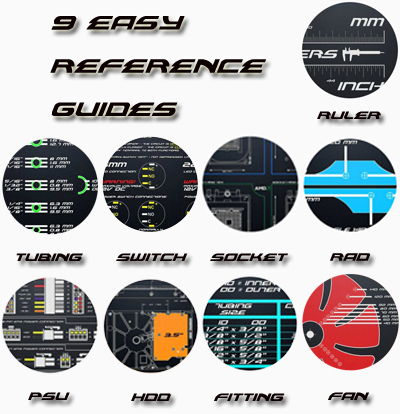 The multiple reference guides are printed directly on the surface giving you access to build information including socket layout (in actual size), power supply pin-out diagrams with voltage denotation, fan sizing chart, hard drive measurement guide, vandal switch wiring diagrams, as well as liquid cooling reference information. I am in the process of building my first PC & stumbled on this when shopping for a quality anti-static work mat. It seems a bit over-priced at first, but believe me when it arrives & you lay it out & get to see it yourself... you won''t mind the extra $. Worth it! Worth it if you build systems or upgrade a lot. If you are like me and need a lot of room for staging and installing, this is the one to get. Great info on it to. But if you do not work on systems a lot may not be for you. Awesome Awesome and more Awesome! 4/5 Since the price is a little steep, but this mod mat looks AWESOME! It''s quite handy to have any measurement right in front of you. From tubing size, to hard-drive screw spacing, the new "Mod-Mat" has a lot to offer. Plus it looks sweet. 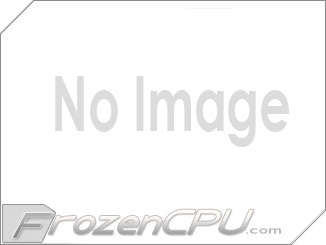 Props FrozenCPU!